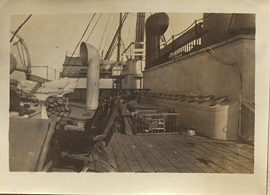 Deck of the S.S.Winfredian, photograph. 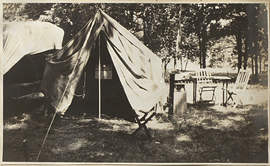 Devil's Lake Camp Site, photograph. 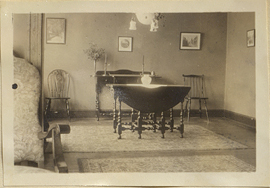 Dining Room at 106 Valentine Lane, photograph. 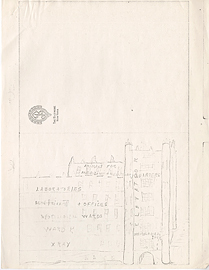 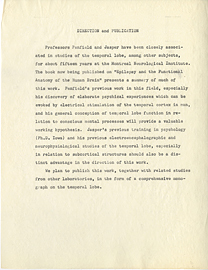 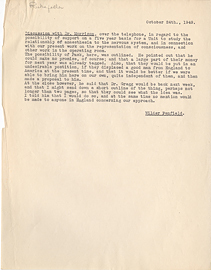 Discussion with Dr. Morrison, October 24, 1949. 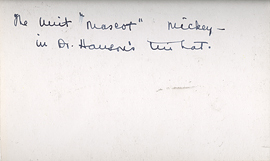 Dog in a helmet, photograph (back). 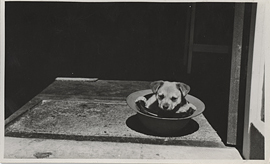 Dog in a helmet, photograph (front). 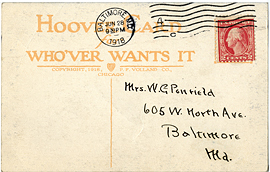 Don't Stuff Your Husband, Husband Your Stuff, postcard (back). 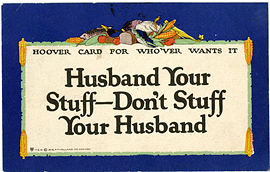 Don't Stuff Your Husband, Husband Your Stuff, postcard (front). 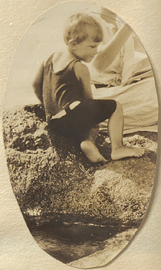 Donald Bazett on a rock, photograph. 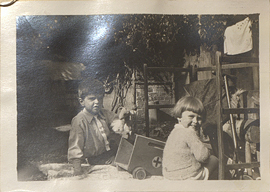 Donald Blencowe and Wilder Penfield Jr. with Toys, photograph. 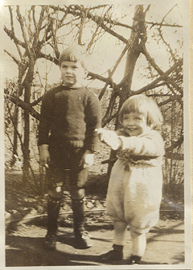 Donald Blencowe and Wilder Penfield Jr., photograph. 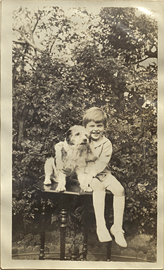 Donald Blencowe with Dog, photograph.